3 Beds 3 Baths 1 Partial Bath 2,303 Sq. ft. IN THE HEART OF PONTE VEDRA BEACH THIS BEAUTIFULLY UPDATED HOME OFFERS LONG LAKE VUES TO THE 13TH HOLE OF DYE'S VALLEY COURSE-OPEN FLOOR PLAN FEATURES 2-STORY GREAT ROOM BATHED IN SUNLIGHT FROM FLOOR TO CEILING WINDOWS & GLEAMING HARDWOOD FLOORS-KITCHEN BOASTS STUNNING QUARTZ COUNTERS & GLASS BACKSPLASH-BREAKFAST NOOK THAT LEADS TO A SPACIOUS SCREENED PORCH AND PATIO TO ENJOY WONDERS OF NATURE-FORMAL DINING ROOM COULD FUNCTION ALSO AS A CONVENIENT OFFICE OR DEN-DOWNSTAIRS MASTER TAKES ADVANTAGE OF THE SERENE LAGOON TO GOLF VIEWS OUT THE FRENCH DOORS & INCLUDES A SPACIOUS EN-SUITE BATH W/GARDEN TUB, SEPARATE SHOWER-DUAL SINKS AND LARGE CLOSET-UPSTAIRS TRANSITIONS INTO THE PERFECT KIDS HANGOUT OR GUEST ACCOMMODATIONS W/LOFT, 2 BEDROOMS & BATH. WELCOME TO THE SAWGRASS PLAYERS CLUB LIFESTYLE! 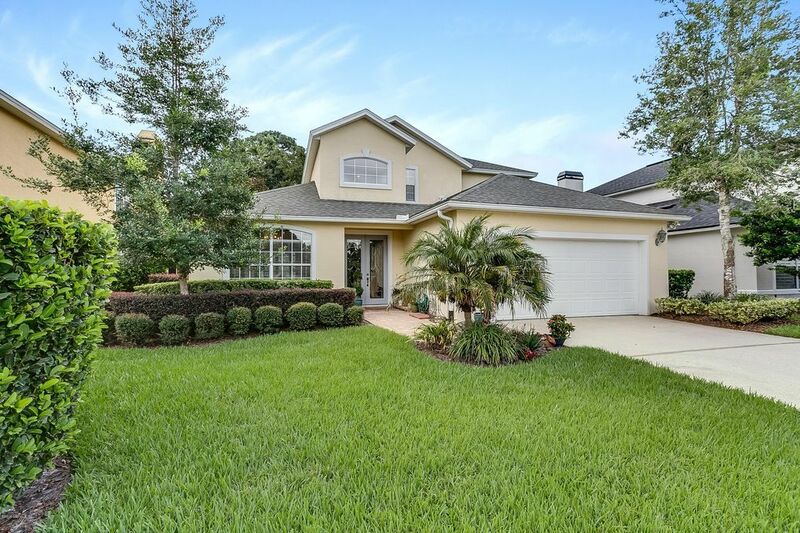 JUST STEPS AWAY FROM THE COMMUNITY POOL AND A SHORT WALK TO THE CHILDREN'S PLAY GROUND AND BALL FIELDS...ENJOY THE TPC CLUB HOUSE FOR CONVENIENT ENTERTAINING OR ELEGANT DINING ON THE PATIO OVERLOOKING THE COURSES. GATED COMMUNITY WITH 24 HOUR GUARDS AND ROVING SECURITY.